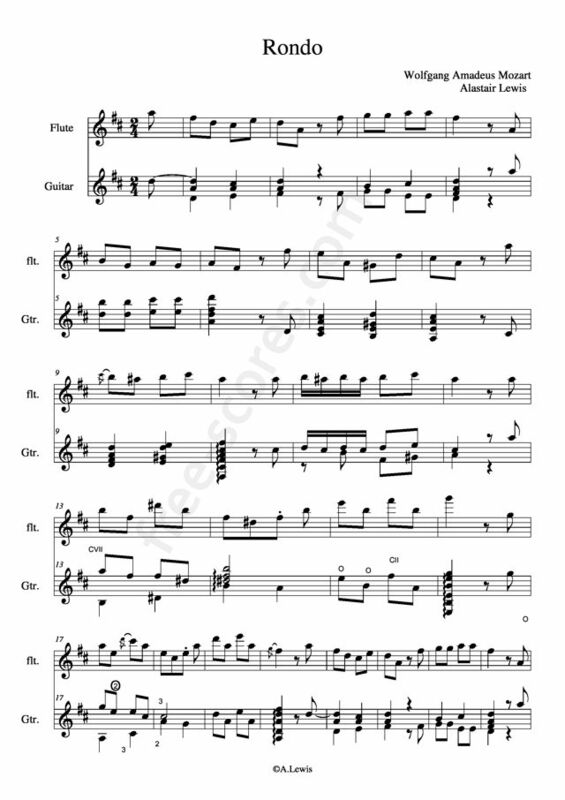 This piece arranged for guitar and flute duet is in the key of D major. It has an allegro tempo typical of a Rondo. 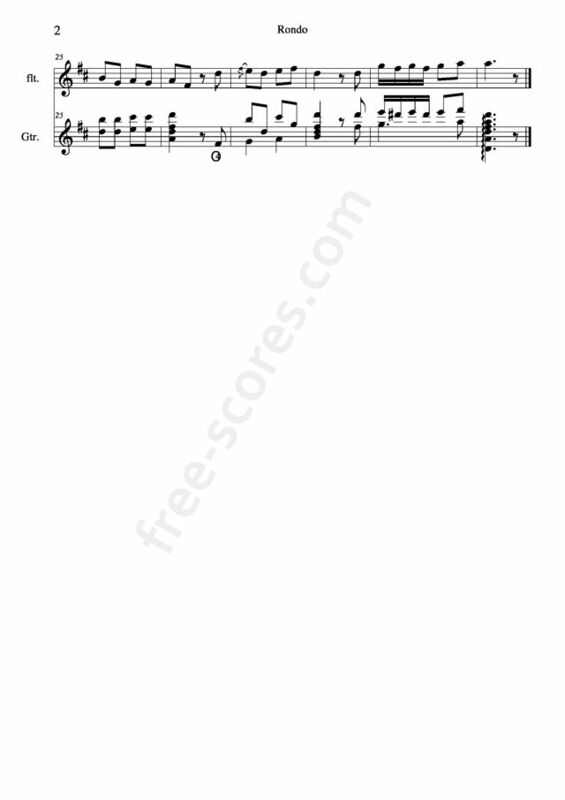 26 scores found for "Rondo Mozart, Wolfgang Amadeus"
1 scores found for "Rondo Mozart, Wolfgang Amadeus"